READY FOR A DAY ON THE WATER! Twin Mercruiser 5.0L, Wide 10' 6" beam, Bottom Painted, Full canvas camper canvas enclosure AND MORE INCLUDED! If you are in the market for an express cruiser, look no further than this 1988 Larson Contempra DC-300, priced right at $16,500 (offers encouraged). 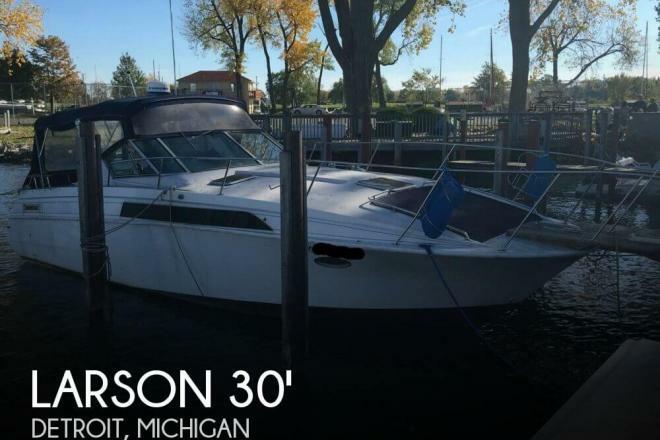 This boat is located in Harrison Township, Michigan and is in decent condition. 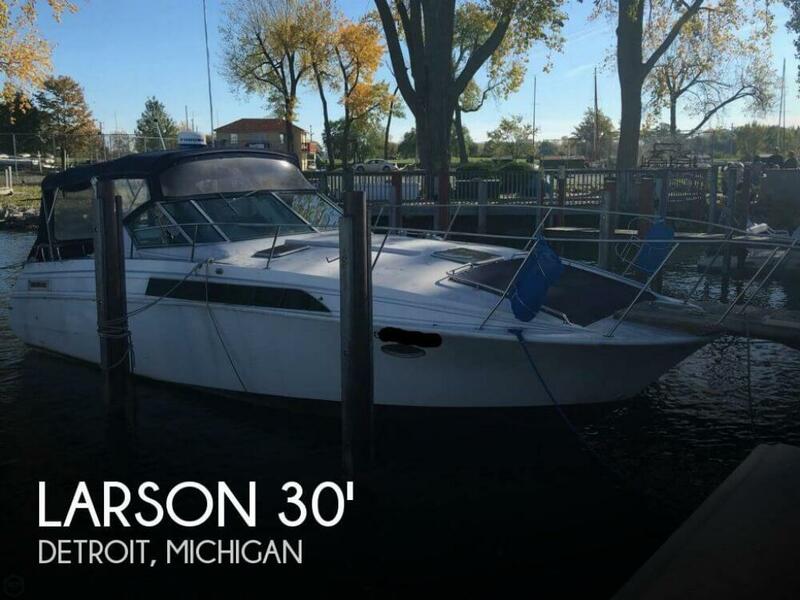 She is also equipped with twin Mercruiser engines that have 527 hours. Reason for selling is moving.